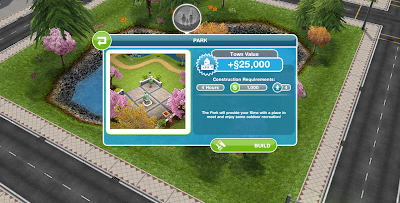 Next find a sim without hobbies and take him/her to the park. 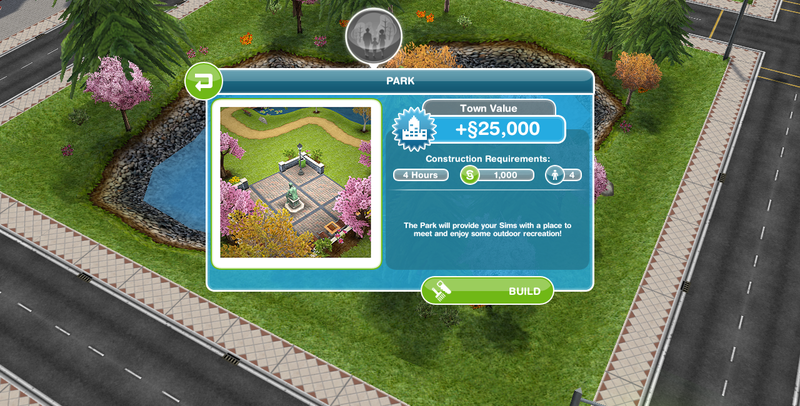 (If your sim has done another hobby he/she will lose all experience of that hobby!) 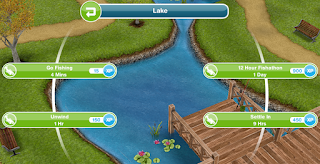 In the centre is a wooden pier from where you can fish (tap the water). Pick one of the four actions and wait for the time to pass, you'll earn the indicated XP when it finishes, at that point your sim will be waiting with an exclamation mark bubble above his/her head. 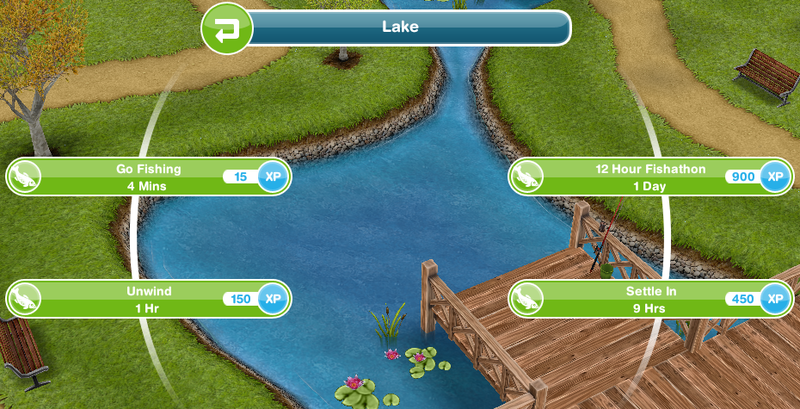 Your sim might catch a fish, boot, twig or any other of the collectibles. Not only that, your sim can be caught by a giant fish as well! 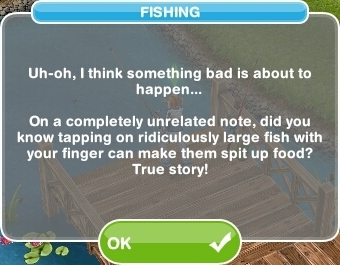 Luckily the fish spits out your sim again, so everything will be fine. 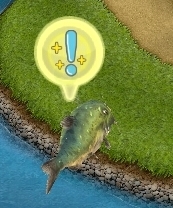 Each time the giant fish jumps out of the water you'll see an exclamation mark bubble, tap it for XP or §. There are three taps possible in total for being caught. Please note: fish (and items) already collected will NOT yield the rewards again if filled in on the collectibles grid. For example; the first time you catch a Spotted Koi, you'll get XP 90 and § 100, but without starting a new collection, every next Spotted Koi doesn't give you anything (except for action related XP and adding to the sim's experience in fishing if possible). 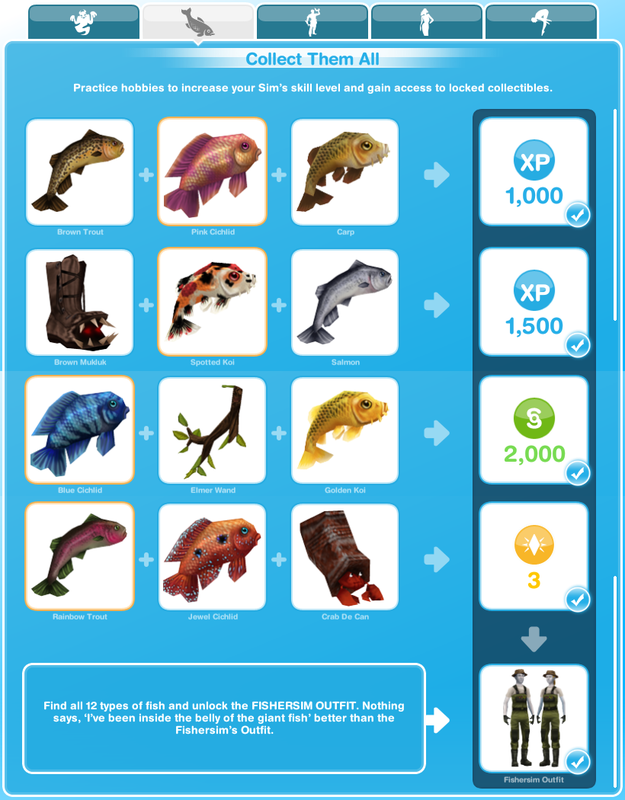 The first time unlocking all the collectibles for fishing unlocks "Fishersim Outfit", the second time completing the collection unlocks "Fish themed Posters & Wallpapers". Conclusion: Fishing is for fun, not for profit.